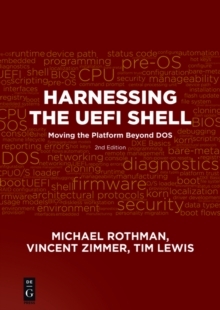 Focusing on the use of the UEFI Shell and its recently released formal specification, this book unlocks a wide range of usage models which can help people best utilize the shell solutions. This text also expands on the obvious intended utilization of the shell and explains how it can be used in various areas such as security, networking, configuration, and other anticipated uses such as manufacturing, diagnostics, etc. Among other topics, Harnessing the UEFI Shell demonstrates how to write Shell scripts, how to write a Shell application, how to use provisioning options and more. Since the Shell is also a UEFI component, the book will make clear how the two things interoperate and how both Shell developers as well as UEFI developers can dip into the other's field to further expand the power of their solutions. Harnessing the UEFI Shell is authored by the three chairs of the UEFI working sub-teams, Michael Rothman (Intel, chair of the UEFI Configuration and UEFI Shell sub-teams), Vincent Zimmer (Intel, chair of the UEFI networking sub-team and security sub-team), and Tim Lewis (Insyde Software, chair of the UEFI security sub-team). 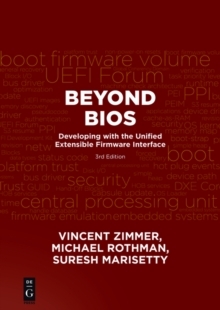 This book is perfect for any OEMs that ship UEFI-based solutions (which is all of the MNCs such as IBM, Dell, HP, Apple, etc. ), software developers who are focused on delivering solutions targeted to manufacturing, diagnostics, hobbyists, or stand-alone kiosk environments.